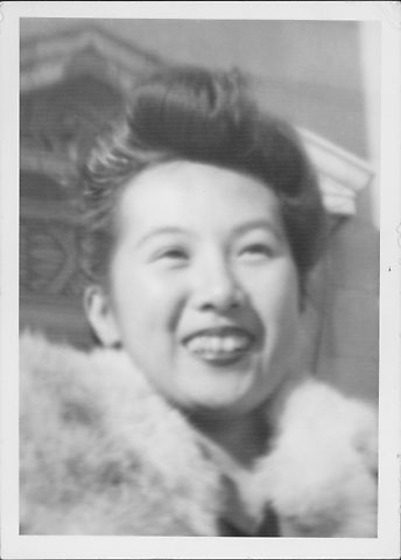 Close-up head and shoulder portrait of a smiling woman in fur stole around neck, United States, ca. 1940s. Cornice or decorated overhang of building in background.